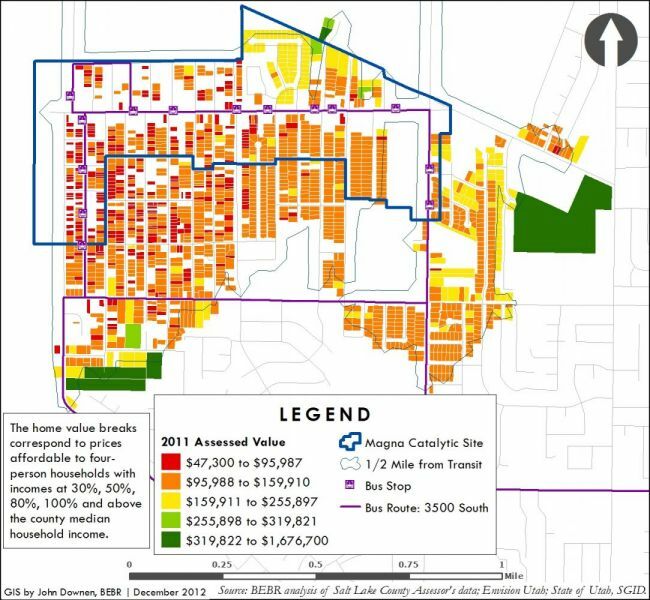 The Housing and Opportunity Assessment tool stems from the Community Data Project and is an in-depth report that provides current data, maps, and information on demographics, socio-economics, and housing in Wasatch Front communities. 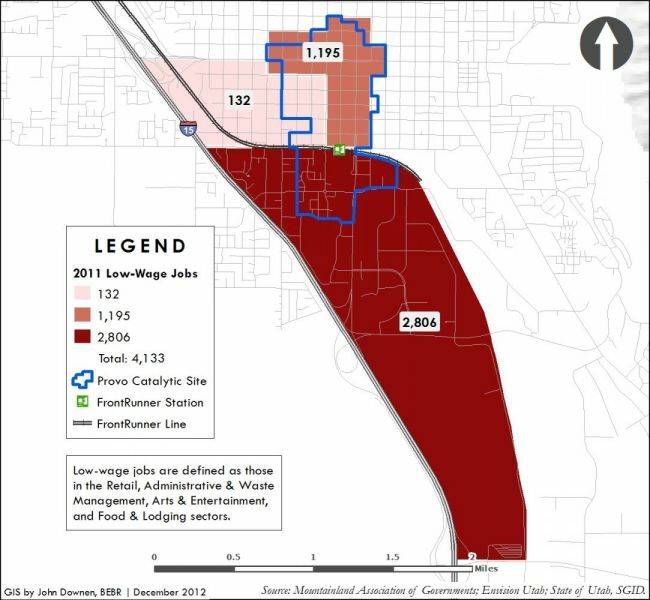 It provides new demographic and economic information for every city and county along the Wasatch Front. 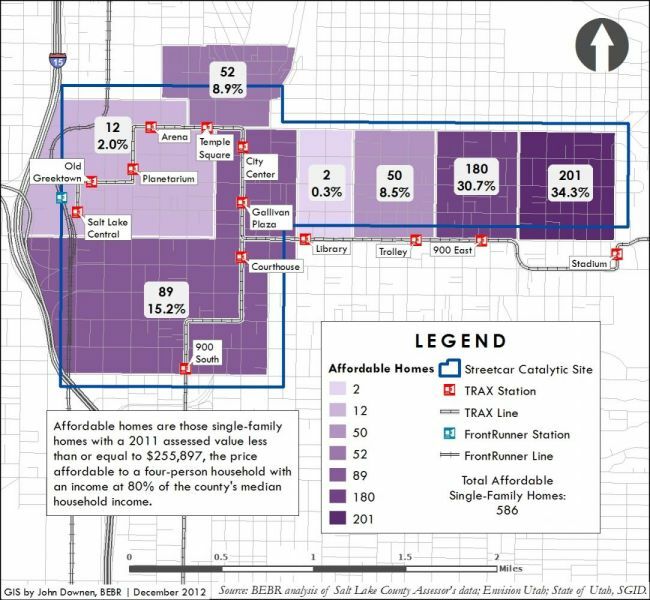 This data is available in reports and maps that highlight the opportunities for economic development and remediation of housing disparities to be understood and addressed through policy level changes. Factors include segregation, racially concentrated poverty, disparities of opportunity, fair housing infrastructure, and physical infrastructure investments. The project was funded by a 2011 Sustainable Communities grant. It is vital to the Wasatch Front, as the tool answers questions that are crucial to the way we grow as a region. The tool will help cities in their planning process through identifying areas of opportunity and areas with disparities of opportunity. Incorporating this information will enhance projects and outcomes on both local and regional levels. 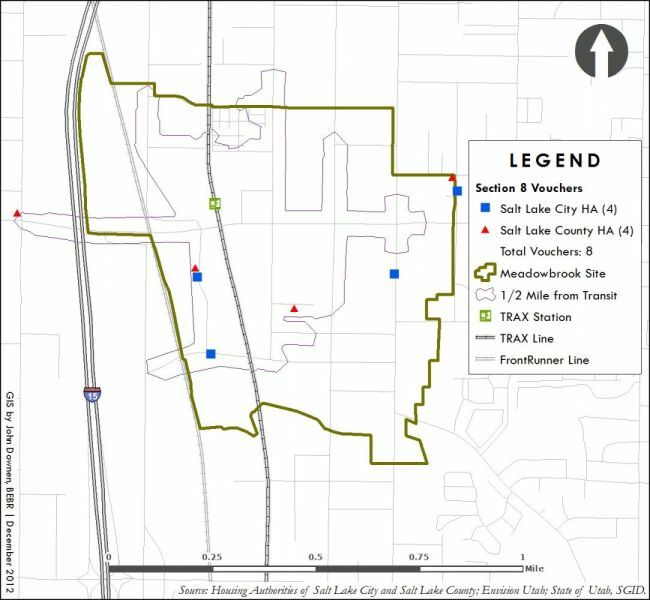 It provides Wasatch Front cities and counties with data that may not have had access before. One of the achievable outcomes is fulfillment of the Housing and Urban Development (HUD) obligation of entitlement cities and counties for a Fair Housing and Equity Assessment. The tool collects this data and makes it available to communities in one place and free of charge. To access the tool, an internet connection is required. An entitlement community is a city or urban area with a population of 50,000 or more which receives Community Development Block Grant funds directly from the US Department of Housing and Urban Development. HUD requires all recipients of Sustainable Communities grants to complete a Fair Housing and Equity Assessment (FHEA). 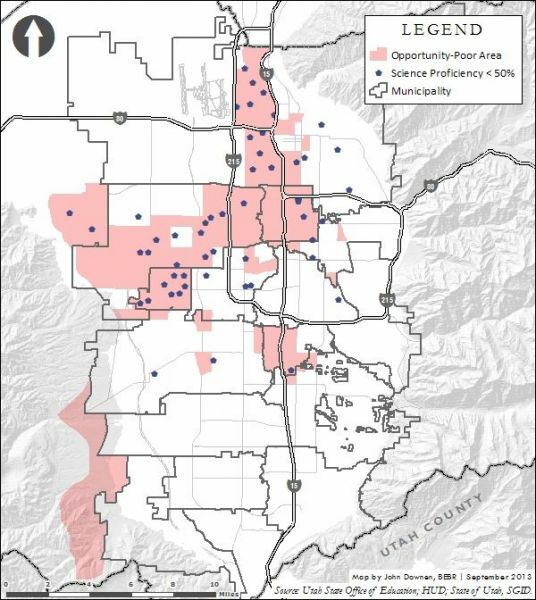 The Bureau of Economic and Business Research, University of Utah is prepared the FHEAs for the entitlement counties and cities in the study region (Salt Lake, Utah, Davis and Weber counties). HUD grantees are pioneers in the development of FHEAs. Therefore, all entitlement cities and counties will be required by HUD to include an FHEA in their five-year consolidated plans. An FHEA is comprised of three key elements: (1) data, (2) deliberation and (3) decisions. Data: The data element is the most time intensive. HUD divides this element or task into five key areas of inquiry for each entitlement jurisdiction: (1) Segregation – trends in the spatial concentration of minority populations across cities and census tracts within the region; (2) Racially and ethnically concentrated areas of poverty (RCAP and ECAP) – identification of locations of minority households living in poverty; (3) Disparities in Opportunity – analysis of data regarding education, access to the transportation system, proximity to employment centers, housing affordability, shortages of healthcare, food deserts, etc. ; (4) Fair Housing Infrastructure – discussion of the procedure and process cities have in place for adjudicating housing discrimination complaints; and (5) Physical Infrastructure Investments – an analysis of current and future impacts on access to opportunity of investment for freeway/highways, light rail/street car lines, fixed bus routes, recreation trails, large commercial development, hospitals, etc. Deliberation: Key groups engage with the findings of the FHEA. Key groups include entitlement jurisdictions, metropolitan planning organizations (MPO), council of governments (COG), school districts, public health departments, transit agencies, housing authorities, fair housing organizations, economic development agencies, and housing finance agencies. In addition, the findings should be shared and discussed with minority communities, immigrant communities, and other underrepresented communities to include their views on barriers to their opportunities and aspirations. Decisions: HUD refers to this element of the FHEA as the bridge. A city or county uses the findings of FHEA and the results of deliberation to set priorities and develop a measurable action plan to enhance equity and access to opportunity and mitigate impediments to fair housing choices. Cities and counties should not view the FHEA as a discrete task but rather a process to develop and participate in a regional vision that integrates housing, economic development and capital investment decisions. The FHEA should inform a city’s scenario planning and introduce issues of equity into the discussion of new investments, planning and policy. Findings of the FHEA should also be incorporated regionally through the regional transportation plans and growth vision. Housing Analysis Reports provide a wealth of data. 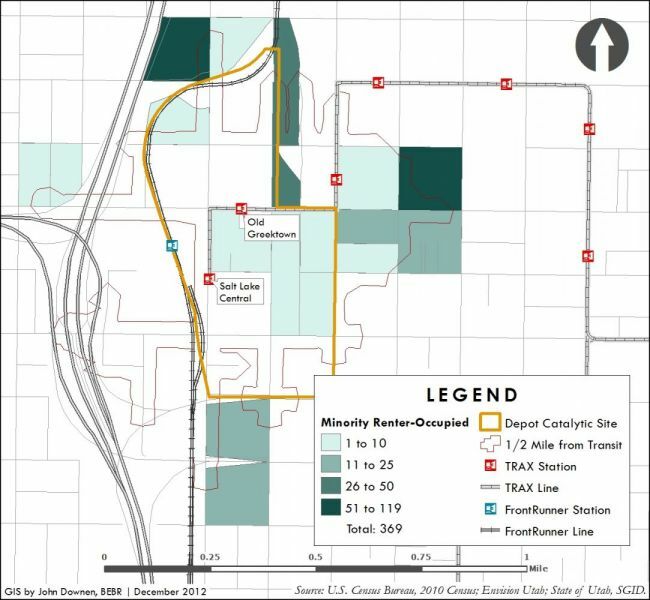 These maps provide a sample of the format and types of data available.